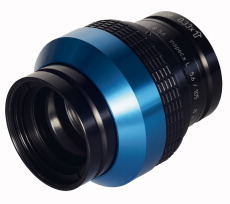 A wide range of lenses with an M72 thread is already available on the market. In most cases, they have found their way into industrial machine vision due to the need for large image diameters for high-resolution line scan cameras such as the 16k models by NEOPT. We had already examined the range of large lenses for these and included many of them in our portfolio of lenses and optical systems. Now owned by Excelitas, this producer of industrial optical systems has its roots in Rodenstock and LINOS Photonics. Even today, Qioptiq offers lenses of an outstanding quality. 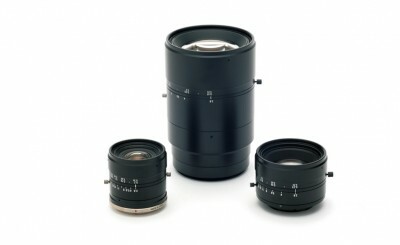 In addition to the proven Rodagon lenses for modular focus systems, Qioptiq offers the L version of the inspec.x series. Like the Rodagon, it is suitable for large image fields and also features floating elements. In this way, image performance can be adapted to system magnification with ease. A mid-size German company, SILL specializes in fabricating top-quality optical components. Like SVS-VISTEK, it is committed to "100% made in Germany". The Correctal© TL telecentric series has been designed for high-resolution linescan cameras. However, it can also be used for large-area cameras. 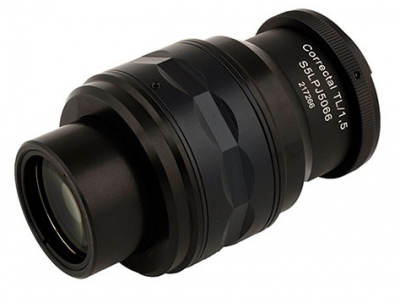 Depending on the model, the lenses are available with coaxial illumination, too. As well as this, SILL offers double-sided telecentric lenses in the TDL version. The Japanese producer has always been known for its high-resolution optical systems. Its offers convincing quality for sensors up to 12 megapixels and a pixel pitch of only 3.1 µm – even for C-mount. Myutron has launched three series of high-resolution line scan cameras, which are also suitable for area sensors. The FV-L and the FV-W series for macro and widefield applications and the universal XLS series for aspect ratios of 0.3 to 2. The Japanese producer was known as Schott-Moritex until the beginning of the year. Over the next few months, we expect Moritex to launch further series. These will enhance our SHR range in the interests of greater universality. In the meantime, we are observing the market closely and keeping our eyes open for new components and accessories. Even though we believe that the camera forms the core of all machine vision systems, we apply particular care to selecting components. This offers your application the precision you expect of us.